As I started reading your post, I was thinking of Sam Gamgee. So glad you mentioned him. He is my all-time favorite sidekick. I'm also quite partial to Ron Weasley. 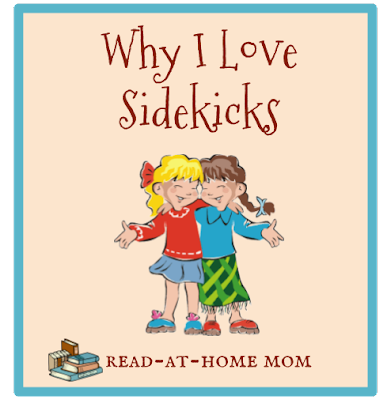 In my second grade play I was Annika from Pippi Longstocking, so I identified with sidekicks early on. I would add that in addition to giving sidekicks colorful personalities, authors have historically seemed more wiling to give the sidekick greater ethnic and other diversity. Of course there's an argument that this is tokenism, etc., but I prefer to think of it as along the lines that you discussed, about the more colorful personalities.